Paw Prints is a full service, fine art dog photography business covering Yorkshire and the North East. It’s run by me, Rob Townsend. Every dog has a distinct personality, and a well-loved one is part of the family. 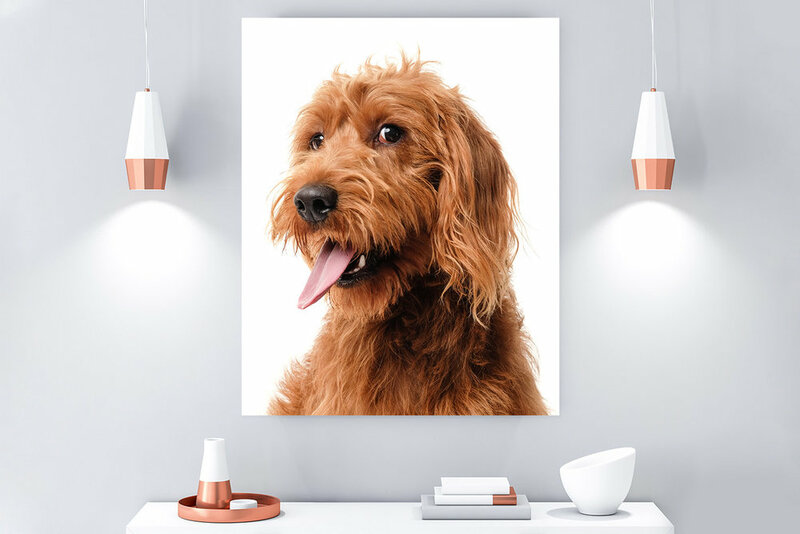 My philosophy is simple: I want everyone who loves their dog to have a photo of it on their wall. If you want to capture the essence of your furry companion in a portrait, then get in touch. 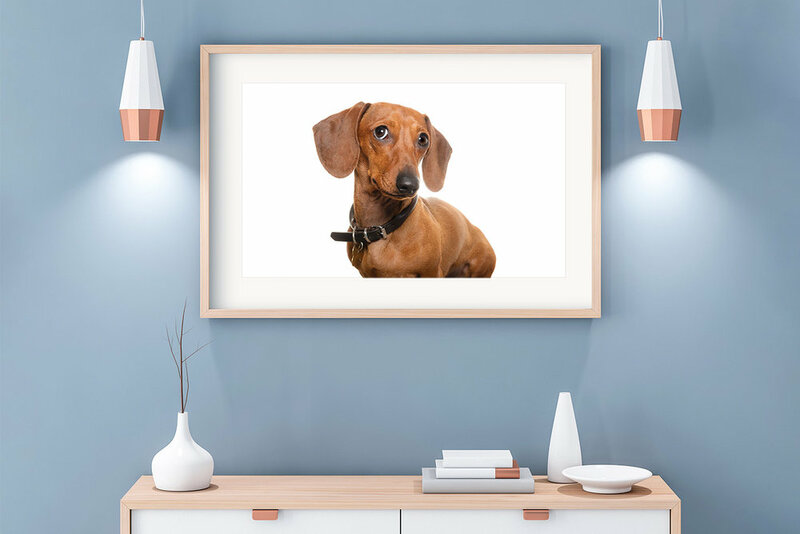 Together we will create a distinctive artwork that celebrates your dog’s unique character – forever. Getting a unique photographic portrait of your own dog is a straightforward and fun experience in three simple steps. First, get in touch so that we can have a chat. You can tell me more about your dog, their story and personality, and I can answer any questions you might have. Then we'll agree a date and time for your photoshoot, and you can decide if you want to add Artwork Credit to your order. I’ll come to your home and start by making sure your dog is comfortable with the camera – and the man holding it! We'll talk about what kinds of images you're looking for, and you can show me where you're planning to hang your forthcoming art. Then comes the fun part! We'll get a variety of shots to capture the distinctive character, poses and expressions of your dog. Usually about a week later it's time for the viewing and ordering session. I'll show you the best images, and you decide which ones best capture your dog's character. I'll show you samples of artwork products. We'll discuss the suitability of different styles and sizes. Once you've decided what to order, I'll create your wall art and gift products and deliver them to you within 2-3 weeks! “A brief note to thank you for the wonderful photograph of my three favourite pups. I had high hopes based on your website images – but you have surpassed my expectations. You have managed to capture their personalities perfectly… from Emily’s staunch nobleness, to Willow’s slight timidness masking the inner rebel, to Bonnie’s eager youthfulness. Utterly gorgeous. If this has whet your appetite for a doggy portrait, then please get in touch! There are a limited number of photoshoots every month. Bookings are currently being taken up to three months in advance.